REFRIGERATION SERVICES & MAINTENANCE BY SKILLED & EXPERIENCED COOLING EXPERTS ON YOUR COMMERCIAL REFRIGERATION PLANT IS IMPERATIVE! With over 100 years serving the Industry, we specialise in the Industrial & Commercial Refrigeration & Air Conditioning Maintenance, Service & Repairs, Design & Installation Sectors. The services we offer come with an assurance of old fashioned family values and beliefs which easily integrate into our business life. Our philosophy is one of Honesty. Integrity & Loyalty. We only use skilled and experienced personnel on your plant! Your refrigeration system protects your environment, products, personnel, & critical equipment but also ramps up the cost of your energy needs in hard cash. Your electricity bill every month affects your bottom line profit drastically especially if a problem crops up that could have been avoided if the full system had been designed, sized, installed properly and regularly maintained. “Green” systems (we are advocates & passionate about saving our Planet and use environmentally friendly systems for businesses & retailers in the United Kingdom, learning from the best in the world and adapting their technologies to the British market for optimal results) This is why we endorse Mitsubishi Electric systems. 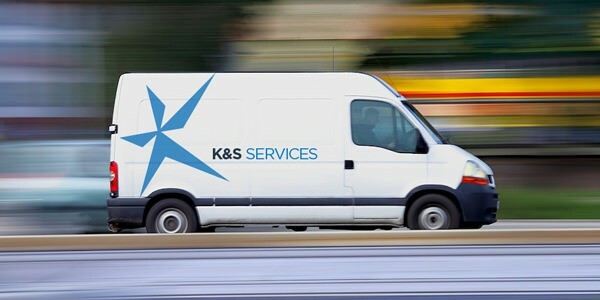 We at K & S Services offer a one stop shop solution to your business based on old fashioned family values. A partnership with our company is a partnership with every one of our operatives and all of them are dedicated to lowering the cost of your bills. Our skill sets and trained engineers give us the edge on our competitors and efforts are focused on developing these skills finer than any other company with in house diagnostic techniques to make service smarter and more proactive and on shaping and optimising our business to increase the performance of your systems. Our customer base a testament to this commitment. Our team is continuously working hard to create one of the industry’s most comprehensive and flexible service solutions for you, whether it is design or installation or proactive servicing programs, we have your solution here. Our service portfolio – based on the four key areas of reliability, reassurance, optimisation, and knowledge – will always meet your unique and changing needs. In fact if you have it we can do it!